More than a decade later, I still vividly remember seeing Andreas Gursky’s 1996 photograph Rhine for the first time. I knew Gursky’s work quite well – though it was, and is, always exciting to see them in real life – but I didn’t know this picture and there was just something about it. I still haven’t quite worked out what that something is but I do know that at that first viewing I stood in front of it for about 20 minutes, utterly mesmerised. Subsequent viewings of it and of Rhine II, made three years later and a subtle reworking of the image which has exactly the same hold over me and which is now the most expensive photograph ever sold at auction, having reached a price of $4.3m in November of last year, have been no briefer. Unlike many of Gursky’s pictures, the scene here is empty and the colours are relatively drab. The sky is grey, the scene unpopulated and the viewpoint a straightforward one; the picture seems to simultaneously reference both the typological photography of Bernd and Hilla Becher and the colour field paintings of the likes of Barnett Newman. 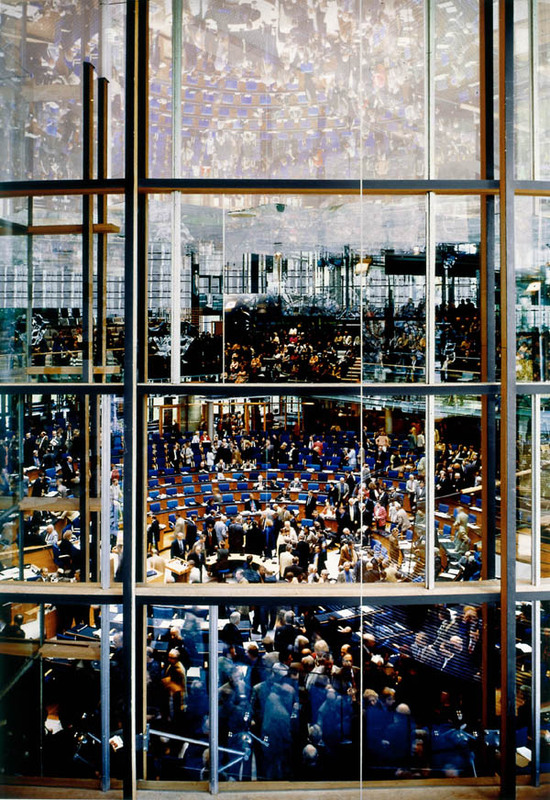 The image is much simpler than many of the works Gursky was making at the time; Bundestag, which I saw at the same time as Rhine, for instance, is both more complex and more colourful. 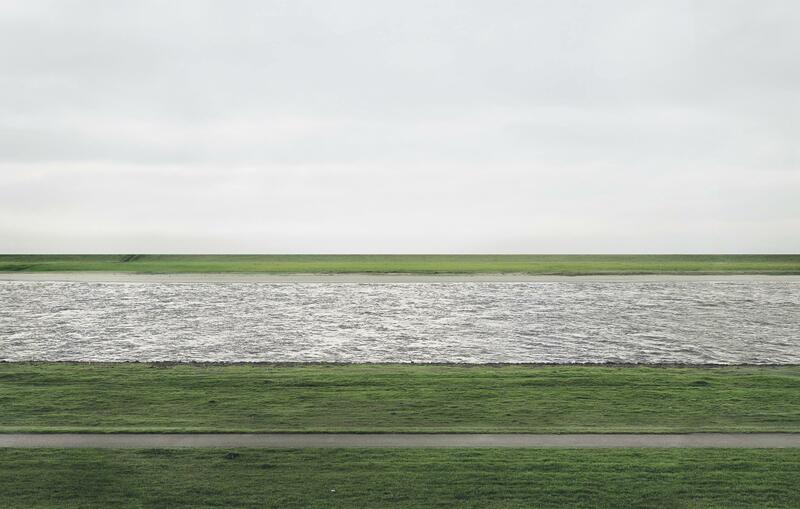 In recording the River Rhine, Gursky opted for a simplified space; he removed industrial buildings and people digitally to leave a landscape of straight lines. The horizon bisects the picture perfectly, dividing it into two equal halves. I’m not sure it’s possible to say quite what made this photograph more valuable than any other yet sold, but I do know I could – and very probably will – look at it for a very great deal longer. Though I love Gursky’s ability to contrast the insignificance of the human scale within the vastness of both the built and natural environment, it remains this quiet picture that I always come back to first when looking at his work. The straightness of the river and the empty sky beyond the uninterrupted horizon are compelling; this is landscape with a perfect, minimal geometry. This entry was posted in Photography and tagged Andreas Gursky, art, Bundestag, photography, Rhein II, Rhine, Rhine II by Ann Jones. Bookmark the permalink.